Image Comics and Skybound Entertainment are pleased to announce GREEN VALLEY #1—created and written by Max Landis, drawn by Giuseppe Camuncoli, inked by Cliff Rathburn, colored by Jean-Francois Beauliu, and lettered by Pat Brosseau—is being fast-tracked to a second printing in order to keep up with customer demand. GREEN VALLEY #1 remains available for purchase across all digital platforms, including the Image Comics website (imagecomics.com), the official Image Comics iOS app, Comixology’s website (comixology.com), iOS, Android, and Google Play. 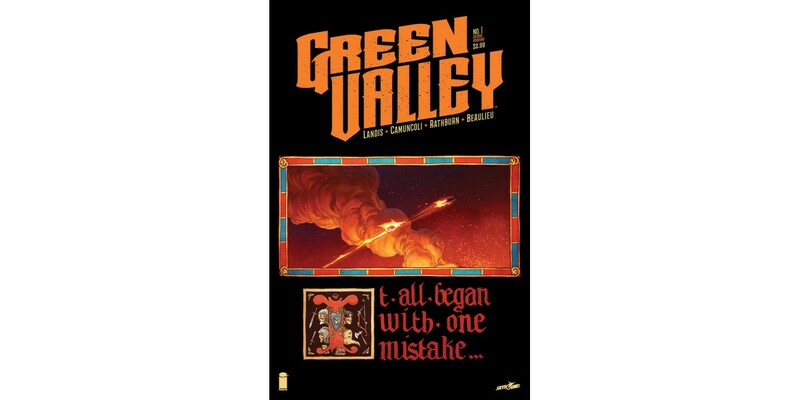 GREEN VALLEY #1, 2nd printing (Diamond code: AUG169185) will be available on Wednesday, November 9th. The final order cutoff deadline for retailers is Monday, October 17th. GREEN VALLEY #2 (Diamond code: SEP160728) also hits comic book stores on Wednesday, November 9th. The final order cutoff deadline for retailers is Monday, October 17th.